Dimpleknowe is a small country estate situated in the heart of the beautiful Scottish Borders countryside. 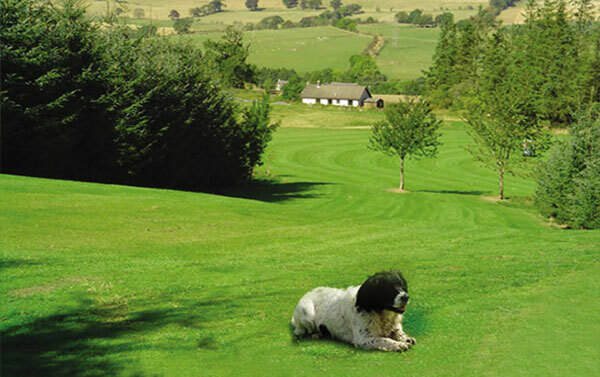 Offering a combination of quality assured 3 and 4 star accommodation, combined with golf on your doorstep. Enjoy a relaxing, peaceful break which is also within easy reach of historic Melrose, Selkirk and all other major towns and attractions. Two magnificent properties await your arrival at Dimpleknowe. 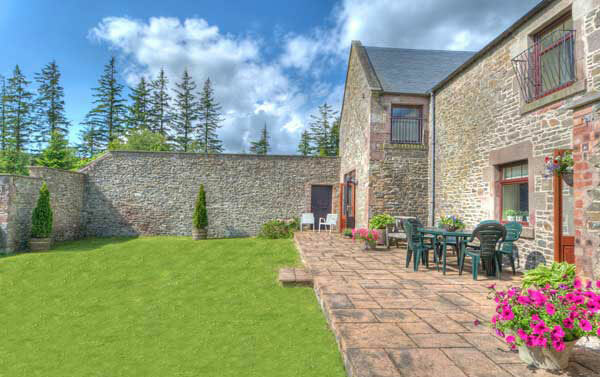 Dimpleknowe Mill - a luxurious converted mill with 3 ensuite bedrooms and full disabled access. 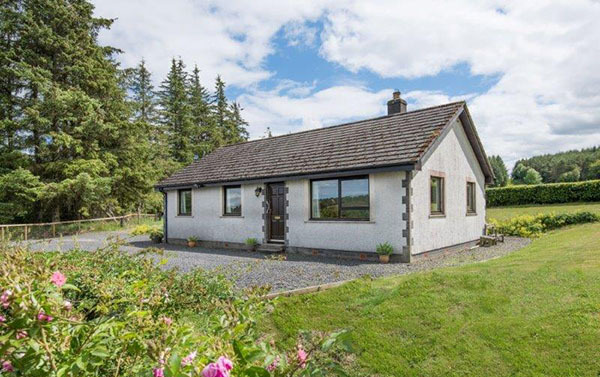 Dimpleknowe Cottage - a comfortable and well equipped detached bungalow, also with 3 bedrooms. Golf Course On Your Doorstep. Lilliesleaf Golf Course forms part of the estates southern edge. An informal course of 11 challenging holes. Equipment hire is available and the course is suitable for golfers of all abilities. A stunning, two storey converted Mill, which has been refurbished to the highest standard. Features full disabled access. 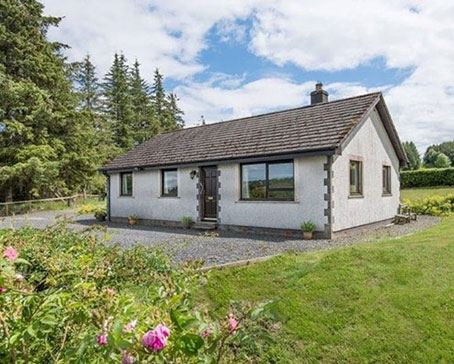 A comfortable and well equipped 3 bedroom detached bungalow. Suitable for up to 5 people. Situated in its own garden. 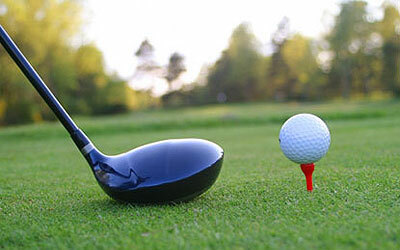 As well as offering top class self-catering accommodation, the estate also has its own informal golf course. A warm welcome awaits when you visit the beautiful Scottish Borders. Dimpleknowe is located right in the heart of this stunning region and offers quick and easy access to all the visitor attractions and sporting venues you could wish for. Dimpleknowe is located right in the heart of this stunning region and offers quick and easy access to all the visitor attractions, shopping and sporting venues you could wish for. We currently have some special offers for the period 26th April to 11th May - only £425 per week. During this periosd we can also offer short breaks and some special low occupancy rates for 1 to 2 visitors. Contact us for more details or book online. We offer reduced prices in the Mill if use of only 1 or 2 bedrooms is required. Last minute short breaks are available in low season and occasionally at other times. Please contact us for details. The Scottish Borders is rich in historical and archaeological sites of interest stretching from Roman times to the Reivers. Numerous museums, stately homes and towers illustrate the area's colourful heritage and offer the visitor an ideal way to discover Borders heritage. 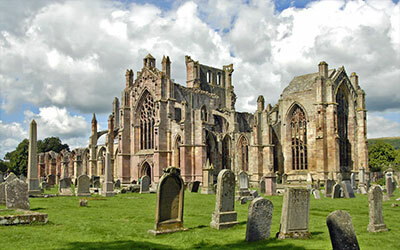 There are also the 4 Border abbeys at Jedburgh, Melrose, Kelso and - most peaceful and atmospheric of all - Dryburgh by the River Tweed, all waiting to be discovered. Scotland is home to some of the finest golf courses, and has no less than five current courses that are venues for the Open Championship. 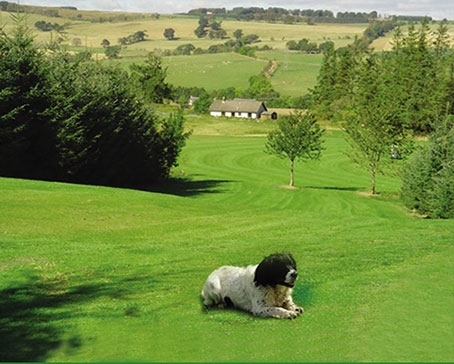 As well as our own golf course, there is plenty of choice when it comes to golfing in the Borders, with over twenty other courses within easy driving distance. The local angling association can advise on stocked lochs and reservoirs. 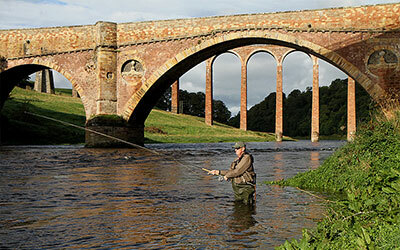 Please call Mr D Mitchell of the Selkirk and District Angling Association, on 01750 20748 for further information. For the adventurous, new forest routes recently opened at The Hub in nearby Glentress, with blue, red and black runs, and the Tweed section of the Forestry Commission's '7stanes' run at Innerleithen. 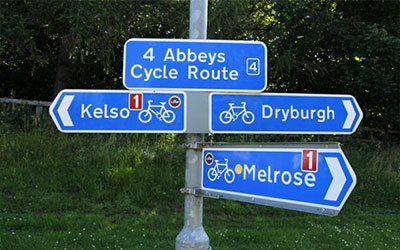 Further information on routes and bike hire can be obtained from the 7 stanes website. 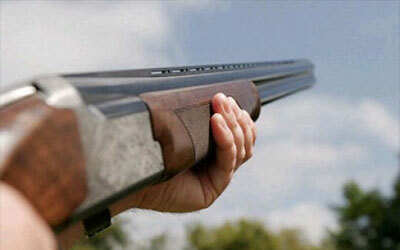 There are several shooting and target practice activities available in the surrounding area, which offer top class facilities and are open to both novices and experienced shots. Clay pigeon shooting is an increasingly popular and enjoyable outdoor pursuit - and junior family members can also participate, depending on age and build. 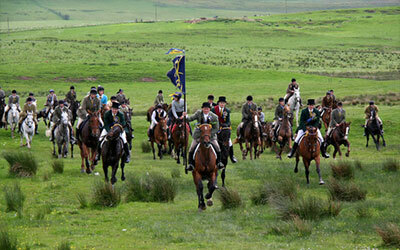 Opportunities for rough shooting are available at the Buccleuch Estates with several species including snipe, woodcock, pigeons, rabbits as well as pheasant and partridge. Wild duck flighting can also be arranged on the many small lochs on the Estate. With instruction available in both game and clay shooting, and archery centres, you'll be sure to find an activity that suits the whole family. 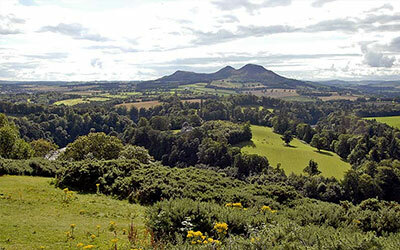 As one of the most unspoiled regions in the country, the Scottish Borders offers the chance to enjoy the outdoors - whether walking the hills, hiking through the glens or rambling in the countryside. 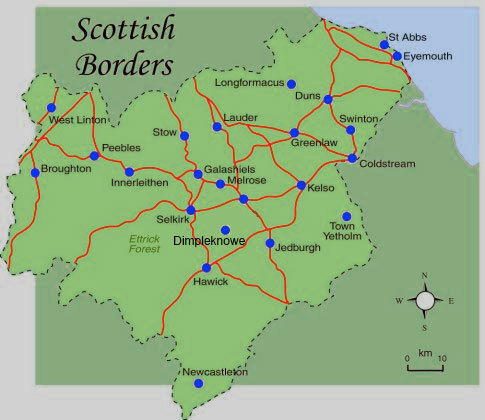 There are a number of long-distance routes that traverse the area - namely the Southern Upland Way (212 miles), St. Cuthbert's Way (62 miles) and the Borders Abbeys Way, a new circular route linking the four Border Abbeys on foot. For a shorter walk, there are numerous routes in the surrounding area, taking in nearby Lindean Reservoir, the Eildon Hills and river routes along the Tweed and in the Yarrow and Ettrick Valleys. Whilst many areas offer rights of access to walkers, please remember to show consideration for the land and surrounding area by practising the country code. Fasten all gates and keep dogs under close control, leave livestock and machinery alone and keep to paths where possible. We have also produced a small guide for a country walk from Dimpleknowe. Click here to read, or ask for a copy during your visit. The Scottish Borders is famed for some of the best horse-riding country, with local stables and riding schools offering tuition in riding and country hacks. 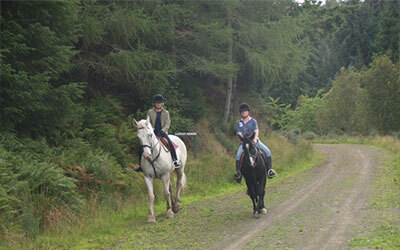 Several short and long distance routes are accessible nearby, including the Buccleuch Country Ride which spans 57 miles. We strongly recommend you book riding lessons in advance of your stay, as schools are often booked, particularly at peak times during the school holidays and the Border Festivals. The Ian Stark Equestrian Centre, which is around a 15 minute drive from Dimpleknowe is suitable for riders of all abilities and offers equipment hire. During the summer months each year, the Borders towns come alive with the celebrations of colourful traditional festivals of riding which have their origins in the 13th Century. These times of troubles saw wars with England and lawlessness that created the 'Border Reivers' - a term denoting customary plunder and cattle thieving. In such an age, townspeople would ride the boundaries of their land on horseback - also known as riding the 'marches' to protect their area. This tradition continues in every Border town, where a young man is selected each year to carry the town's traditional 'Standard' or flag whilst the cavalcade of horses and their riders follow. Each year, the 'Standard' is "bussed" - where ribbons are tied to the staff by a selected Lady Busser, in memory of the times when a maiden would attach her ribbon to a knight's lance before battle. Often, a schoolgirl is selected as a 'Queen' of the event and leads processions of school- children in fancy dress parades and festive floats. For more information visit the Return to the Ridings website. All content is ©2018 Dimpleknowe Estate. Web development by Mark Eckford.